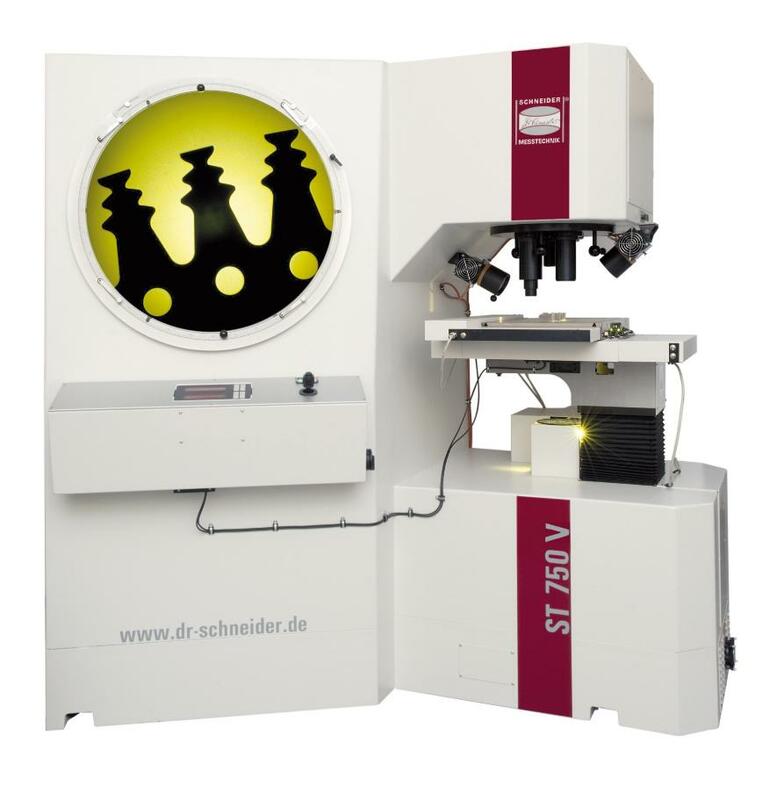 Schneider measuring projectors with vertical optical path are equipped with a highly rigid mechanical stage (XY cross stage). Thanks to a special glass plate, workpieces weighing up to 20 kg can be directly positioned on the glass plate. Useful clamping fi xtures, such as dead and live centre supports (whether manual, motorised or CNC-controlled) can be conveniently mounted on the stage.